Your eyes are the focus of your face, so it’s really important you work with them to make them pop! When I was younger, all I wanted to do was put on makeup (to my dad’s dismay I might add). I spent all my allowance on lip gloss and those cheap eye shadow palettes in pinks and blues, because pink and blue eye shadow was sure to make me look great, right? My fourteen-year-old self may have thought so, and while I can look back and laugh now, I also know that it’s still not always easy pinpointing the exact shades that look best with your eye colour, and specifically, finding makeup for brown eyes. I don’t wear eye shadow on the regular, I usually only swipe it on for special events or date nights. Since I don’t wear a lot of makeup, it makes me feel all dolled up when I put it on. I actually wore much more makeup in my teenage years when I was a competitive dancer. Weekends would be spent traveling to competitions and our makeup always had to be heavy so people could see it in the audience. I always stuck to browns for my competition makeup – a trio of dark, medium and light brown saw me through six years, and I still feel like I don’t know exactly how to do eye shadow like a pro. Practice makes perfect, as they say, and while in my dancing days I would copy techniques off my fellow dancers, Youtube tutorials have become my new best friends when it comes to applying eye makeup. Below, I break down seven of the best makeup tips for brown eyes! If you have brown eyes, applying eye shadow with metallic tones will really play them up! Think gold, bronze, browns, and even sheeny pinks. These colours will not only make your eyes stand out, but are perfect if you’re going to a snazzy event. I love to wear metallic eye shadow when I’m wearing a more formal dress or outfit, say to a wedding or charity event. It really pulls your look together! This is one of the best beauty tricks I’ve learned for brown eyes. Have you ever thought of using a mascara that isn’t black or brown? Try egg plant or other purple shades in mascara and eye shadow to enhance brown eyes. Purple tones create a striking contrast with brown, without looking too drastic. It will also make the white of your eyes really stand out! We really like blinc Mascara in Deep Purple! Youtuber Evita Polizzi has a great tutorial on how to do purple makeup for brown eyes. Her look is gorgeous and she makes it easy and fun for you to follow along! 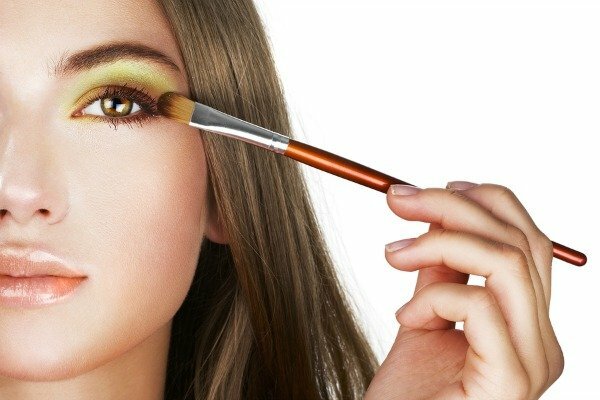 The thought of green eye shadow may seem a little overwhelming, but there are different takes on green that really work! Take a gold shadow with a tinge of green for instance. It will make your brown eyes glisten. The green will pick up brown flecks in your eyes, and the two will play nicely off each other. You can also go bolder with a matte green – there are so many different green tones to choose from, so whether you want to make a big impact or go subtle, the options are endless! In this tutorial by nurberxo, she lets you in on the perfect green shadow (Makeup Geek New Matte Eyeshadow (Dirty Martini)!) and shows you how to work the colour with brown eyes to make them look amazing! If you haven’t been using white eye liner, your life is about to be changed – for the better of course! You can line along your bottom lash line, or along the inside corners of your eyes. The white shade highlights brown eyes and also gives the illusion of wider, brighter peepers. Mix in some metallic eye shadow and you’ll absolutely stun! NewBeauty Magazine highlights 5 different ways you can wear white liner in their tutorial! Check it out and add these babies to your repertoire! Not all eye colours can pull off cobalt blue, but my brown-eyed friends, you are one of them! It’s definitely a bolder look that doesn’t work for everything, but if you need a striking look, this is your shade. For one thing, your eyes will pop, and the brown will also make the blue really bright! It’s a win, win for both colours and a no-brainer for you! I absolutely love this tutorial by Casey Holmes. She demonstrates how to do a really fun look with copper on the top lids and cobalt blue on the bottom. You can see how her brown eyes really shine with the cobalt! Neutral tones work wonders for brown eyes, especially if you want a subtle or daytime look. Eye shadow doesn’t always have to be in-your-face; sometimes it’s best when it’s understated. It looks natural and pretty, and what more can we really ask for? Peaches, taupes and browns are great for brown eyes – in both eye shadows and liners! Smokey eye makeup is all you need for a night out! And it’s not too hard to master. I used to think I could never do smokey eyes on myself, but it’s pretty easy once you get the hang of it. Smokey eye makeup will make up look dolled up and sophisticated. Stick to browns and silvers/blacks for brown eyes to make them stand out! The Urban Decay Smoked Eyeshadow Palette is a great one for brown eyes! Melissa Samways proves just how simple it is to create a smokey eye. I absolutely love her tutorial and have used it to lock down my technique! Whether you need a daytime look or something a little more bold, these makeup tutorials are GOLD for brown eyes! 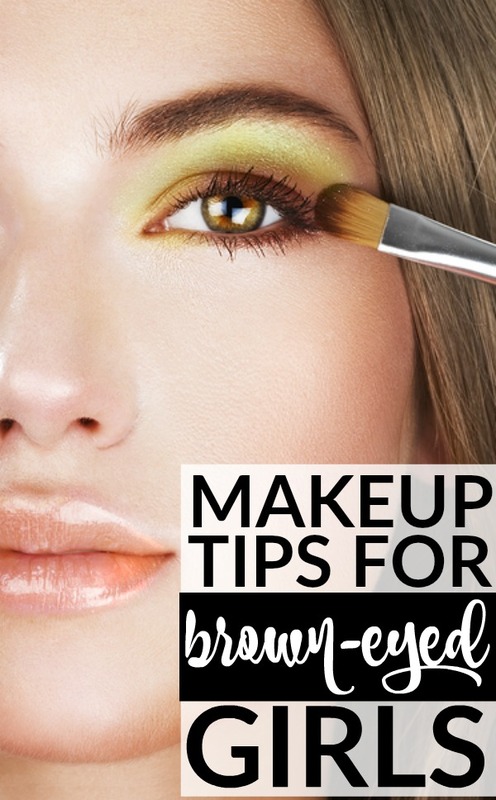 If you liked these tips for applying the perfect makeup for brown eyes, please share them on Pinterest! And if you’re looking for more beauty tips and tricks, please follow our Beauty board where we share all kinds of inspiration!